New Zealand’s population is ageing rapidly. By 2036, it’s projected that around one in 4.5 New Zealanders will be aged 65-plus; that’s a 77 per cent increase from 2016 or an additional 547,300 people over 65. The number of over 80s is also expected to rise by 132 per cent in that time, bringing the total to 14,500. 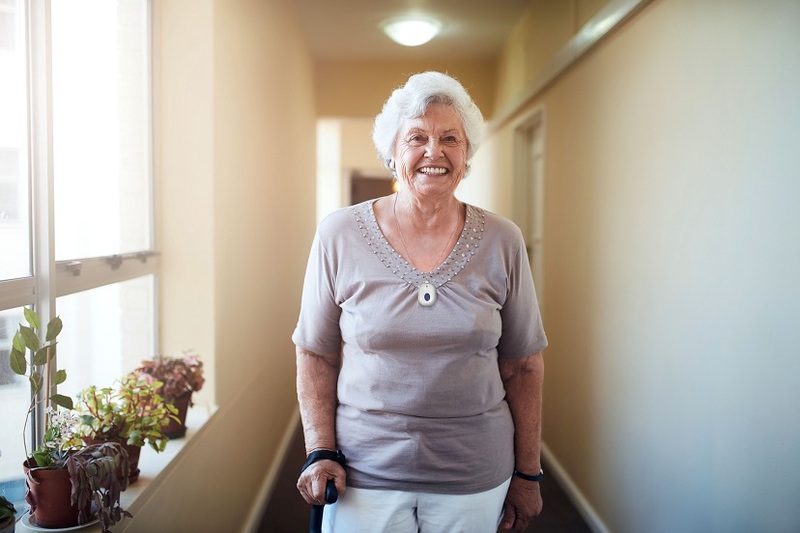 This trend is likely to mean that older New Zealanders stay in their own homes for longer, putting off the move to an assisted living environment or nursing home. The question facing many families is how to support the elderly in feeling safe and secure in their own home, without requiring access to 24/7 care. ADT Security’s NevaAlone personal alarm is a new solution to help older New Zealanders continue to live a free and independent lifestyle. This easy to use, slim line device can be worn as a wristwatch or attached to a neck chain, ensuring 24-hour help is available in the event of an emergency. It can also be mounted to a wall as a permanent personal help button, especially in areas with a high slip-risk, such as toilets and showers. It is waterproof, so safe to use in wet areas or when completing outdoor tasks, such as watering the garden. The device also has long range capability to send an alarm from anywhere in and around the house, at any time. When the button is activated,the NevaAlone device immediately sends an alarm signal to the ADT Security Monitored Response Centre where an ADT Emergency Response Specialist has two-way voice communication with the resident. This specialist will then notify the user’s nominated contacts, such as friends, family, or neighbours, or call an ambulance if necessary. In cases of an accidental call for help, the action maybe cancelled within 10 seconds of pressing the button. For more information about how you or your loved ones can enjoy the support of our NevaAlone offering visit adtsecurity.co.nz/home-security/nevaalone or call 0800 111 238 to discuss our monthly rental plans. © 2018 ADT Services AG. All rights reserved.